Sermon of Rev. John Allyn, delivered April 1796 in Duxbury. In a town as old as Duxbury, there are many men and women who can claim a prominent place in its history. Founders such as John and Priscilla Alden; shipbuilders Ezra “King Caesar” Weston I and II; master mariner and author Amasa Delano; and stage actress Fanny Davenport, are only a few names that come to mind. However, all towns have their less heralded, though equally significant, citizens and Duxbury is no exception. Rev. John Allyn (pronounced Alline) falls into this second category. Rev. Allyn was the minister of the First Parish Church for 45 years, from 1788-1833. While the majority of his tenure was peaceful, Allyn was part of a controversy at the end of his career that divided the town and had repercussions for decades after his death. Recently the Drew Archival Library received a gift of over fifty of the Rev. Allyn’s sermons from his descendants, Faith Stimson and Emily Sugg. These sermons will help to illuminate the life of a man who was such an integral part of the community during the early 19th century. Rev. Allyn was born in Barnstable, MA in 1767 and educated at Harvard College, earning his A.B. in 1785. He received his A.M. in 1788, the same year he was ordained as Duxbury’s minister. Three years later he married Abigail Bradford. The couple settled into a lovely home at 1043 Tremont Street, an easy stroll to the First Parish Church. The church to which Rev. Allyn would have walked was not the large Greek Revival structure we see today, but a smaller, squarer building painted a light yellow. This meeting house, built in 1787, only a year before Allyn’s arrival, was more in keeping with the limited means of the post-Revolutionary Duxbury, a town that had yet to reach its shipbuilding zenith. In addition to his ministerial duties, Allyn ran a school from his home. The contemporary accounts we have all indicate that Rev. Allyn was kind and a bit eccentric. It is not hard to imagine him as the disheveled benevolent scholar. According to his son-in-law, Rev. Convers Francis, Allyn possessed a peculiar imagination and often avoided the “beaten track of thought.” During conversation he loved to “throw his thoughts out in a desultory and startling manner.” Unfortunately, this often led to him being misconstrued. He could also be rather unorthodox in his methods, once dressing as a ghost to scare a family, who had disavowed the existence God, back into believing. The pupils boarding at his school called him uncle and recalled many happy times in Duxbury under his tutelage. They received discipline only from his daughter, Abigail, never from Allyn himself. Perhaps the most famous of his students was a young Abigail May, the mother of Louisa May Alcott. Despite years of faithful service, Rev. Allyn’s tenure as minister in Duxbury had a final, dark chapter. Allyn was afflicted with a premature ageing of both is his mind and body. I am sure a modern-day physician could find a diagnosis based on contemporary evidence, but for the sake of this article, it is enough to say that he found himself incapacitated during much of his later years. In 1825 Allyn asked that the congregation hire a co-minister to assist him in his duties. This would allow him to live out his waning years in the community he loved and continue to preach to his flock at least part of the time. However, it would also force the congregation to pay two salaries. Had his request come a decade earlier, perhaps there would have been no discussion on the matter but a number of changes had occurred that left the First Parish Church and the town divided over this request. The Second Great Awakening that had been sweeping the country had caused some to leave the Unitarian pews of the First Parish Church for the newly formed Methodist and Universalist churches that had been built Washington Street. The number who left included some of wealthiest men in Duxbury at the time including Hon. Seth Sprague. This exodus coincided with disestablishment of the Churches of the Standing Order. Prior to the disestablishment everyone had to pay a tax to support the sanctioned town church whether you were a member or not. After the disestablishment, men like Sprague were no longer beholden to help fund the First Parish Church, resulting in a loss of revenue. With enough money to spare, a second minster may have incited little comment. A tighter budget, however, caused many within the church, including a young fledgling politician named Gershom Bradford Weston, to demand the resignation of Allyn and the hiring of a new full-time minister. Monument erected in 1861 to the memory of Rev. John Allyn in Mayflower Cemetery, Duxbury, MA. What came to pass is not a pretty commentary. Because Allyn was still so beloved by many the congregation, a co-minister, Rev. Benjamin Kent, was hired to assist him. Kent moved with his young family into a house built for them at 992 Tremont Street. But, for the next seven years both Kent and Allyn constantly battled with the faction within the First Parish Church that disagreed with supporting two salaries. Of the conflict, Sarah Bradford, who was related to Kent and therefore not unbiased, wrote to her daughter, “we are all in trouble, the Parish won’t pay two and we fear Mr. Kent will leave us, every one is for Mr. K but Dr. A won’t quit. I don’t know what we shall do…the Parish is in a sad state…” The fight took a toll on both ministers. By 1833 Kent had been carted off to an insane asylum and Allyn was dead. Years later, during another controversy within the First Parish Church, Kent wrote a letter from his Roxbury home declaring that Gershom Bradford Weston was the cause of his temporary insanity and Allyn’s death. To the Memory of John Allyn, D.D. “A Ghostly Visit” in Duxbury Budget (Duxbury Rural Society: Duxubry, MA), 1900, p. 20. Edmund Burke Willson, Memorial of John Clarke Lee (Salem Press; Salem, MA) 1879, p. 10 and Eve LaPlante, Marmee & Louisa: The Untold Story of Louisa May Alcott and Her Mother (Free Press: New York), 2012, p. 26. Massachusetts broke the ties between church and state with the disestablishment of the Standing Order in 1833. However, individual parishes ended the relationship earlier, Duxbury did so in 1828. Letter from Sarah Bradford to Maria W. Bradford, April 21 , Bradford Family Collection, Drew Archival Library. Maria W. Bradford’s husband, Claudius Bradford, was Benjamin Kent’s brother-in-law. 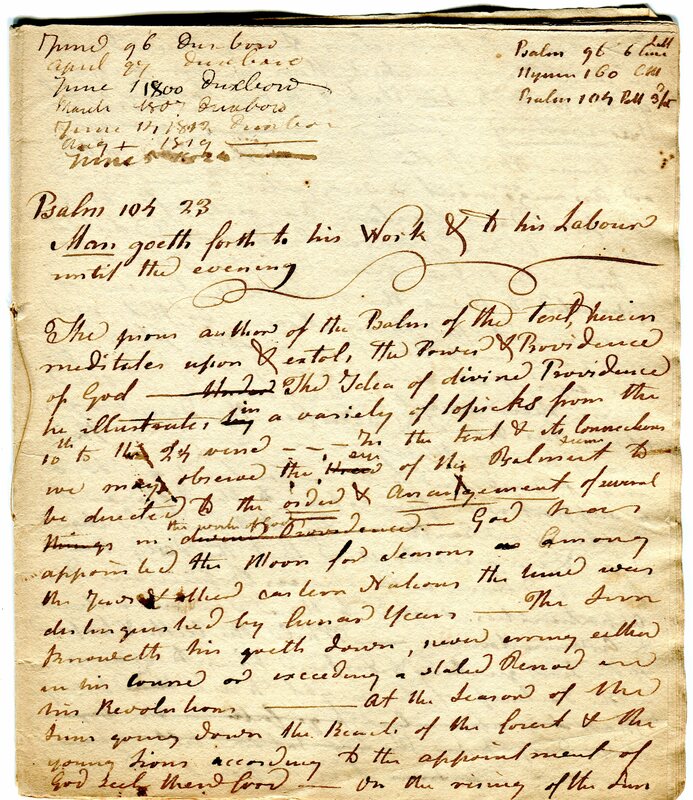 Letter from Benjamin Kent in Reply of a Committee of the First Parish in Duxbury, Massachusetts to the Public Answer of Hon. Gershom Weston, (Boston: C.C.P. Moody), 1851, p. 41. Kent also contended that there was no shortage of funds during his ministry to pay two salaries.